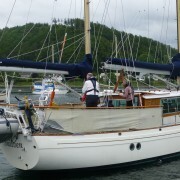 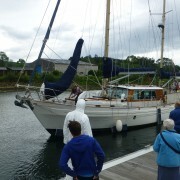 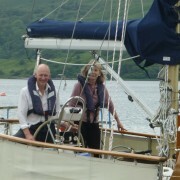 Keith and Jean Simpson sailed away today on there yacht Suilven heading for Russia. 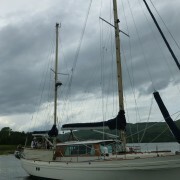 Suilven is a 14.75m Moody Carbineer, she was bought to KYH in 2003. 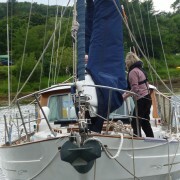 Keith and Jean have worked hard on restoring her with help from us here at the yard over a number of years. 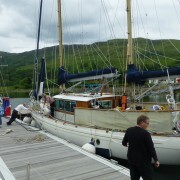 We wish her a safe passage and look forward to her return to the yard in September.